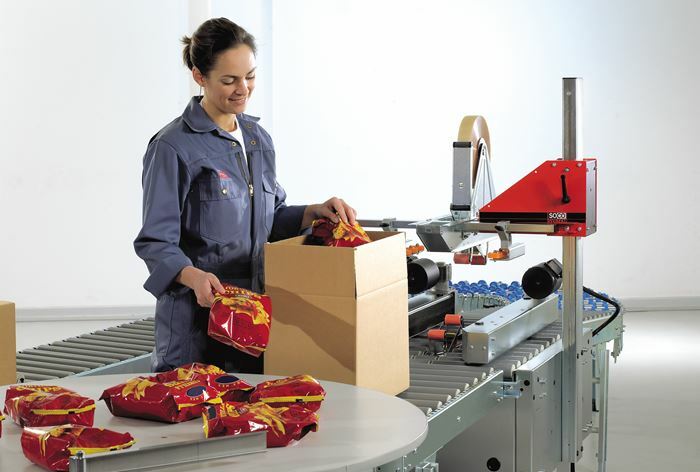 These are some of the benefits of investing in a flexible SOCO SYSTEM packing station. The SOCO SYSTEM product range is available in galvanised or stainless steel. Case erecting and holding the empty case in place. The operator has both hands free for filling. Case sealing at the top and bottom, the cases then pass onto the conveyor and accumulate right behind the operator. 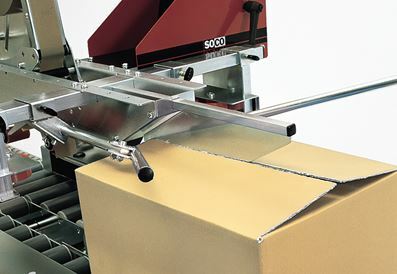 The boomerang consists of roller conveyors before and after the case sealer as well as a flexicurve. The semi-automatic model T-10 seals the cases at the top and bottom. 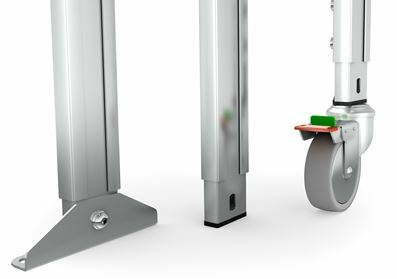 The entire system can be adjusted to the correct working height and with a decline to the accumulating conveyor. The system consists of standard modules that can be reassembled for other solutions. The need for increased mobility is met using braked castors mounted directly on the legs. The rotary table is used for accumulation of individual products. The table frees the operator for other tasks without the need for a break in production. The products rotate on the rotary table and remain within the operator’s reach at all times to achieve efficient working methods and an ergonomically correct working position. 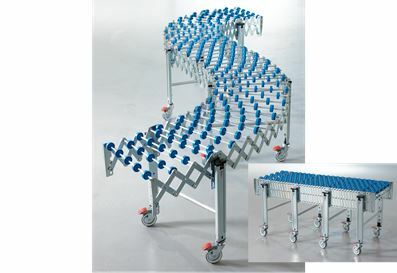 Flexi conveyors can be turned and extended to the desired position. The length can be varied from 1520 mm to 5350 mm. The height-adjustable legs are available with plastic feet as illustrated, with a baseplate for floor mounting or with brake castors for quick relocation. SOCO SYSTEM braked castors are of strong construction and can be braked effectively in the direction of movement or rotation. Castors are a standard feature of the rotary table. SOCO SYSTEM tape dispensers have been developed through many years of user experience to become the optimum tool they are today. Setting a new case size is quick and easy. The model T-55 is for packing stations that handle many different sizes of case. 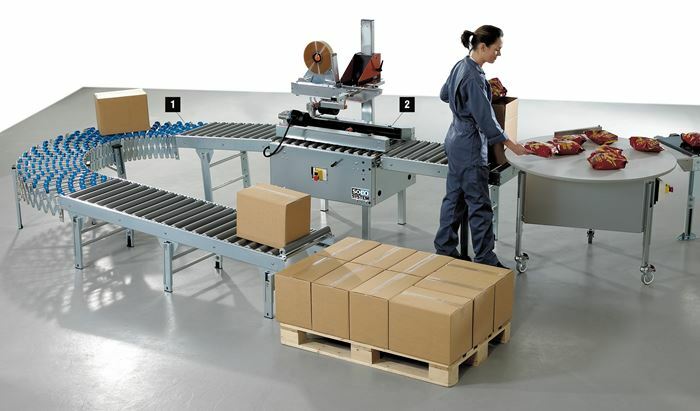 The roller conveyor in front of the machine is equipped with a case holder and functions like a packing table. The F-100 is mounted on the case sealer, and is also available in a version that pushes the filled case into the case sealer (F-100-P). The front flap and end flap are folded towards the rail. The case is lowered onto the rail and pulled backwards, and the side flaps are closed. The case is held in place and is then ready for filling. For easier insertion of cases. The operator folds the rear flap while feeding the case into the machine.